Pearland, Texas Criminal Lawyer James (Jim) Sullivan is an experienced Defense Attorney. For 25 years, James Sullivan has successfully fought the government in Jury Trials on behalf of clients in criminal and juvenile courts. Brazoria County Criminal Attorney James Sullivan has a proven record of defending people from all walks of life, faiths and countries in courts throughout Texas. Call Brazoria County Criminal Lawyer James Sullivan at (281) 546-6428 to discuss your situation. Pearland, Texas Criminal Attorney James Sullivan chose to become a criminal lawyer. It was not by accident. Fighting the government and defending people come natural to him—he was born into a diverse, dynamic family of conservative Baptists and liberal social activists. Unlike many colleagues who practice criminal law, James Sullivan has never prosecuted anyone and never will. That is not him. His entire career is devoted to defending people accused of crimes and delinquencies. 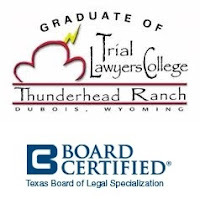 Pearland, Texas Juvenile Attorney James Sullivan is Board Certified in Juvenile Law by the Texas Board of Legal Specialization.